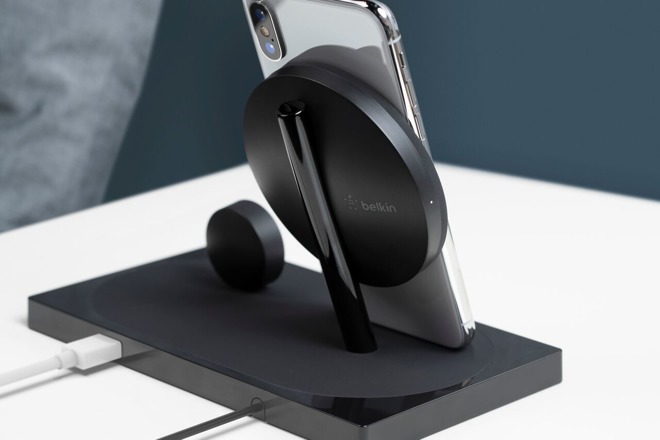 The Boost Up Wireless Charging Dock is capable of charging up to three devices at the same time, with a third connected via an additional USB-A port as well as the two wireless charging sections. The dock is said to be enhanced for the iPhone XS, iPhone XS Max, and Apple Watch Series 4, but will also work with the iPhoneX, iPhone 8, iPhone 8 Plus, and all Apple Watch models. The optimized wireless charging can provide up to 7.5 watts of power to a QI-enabled device, including those wearing a compatible case up to 3 millimeters thick, while the USB port offers 5 watt, 1 amp charging. The Apple Watch is charged at 5 watts, with the charging point supporting Nightstand with the Watch displayed at an optimal viewing angle for the mode. 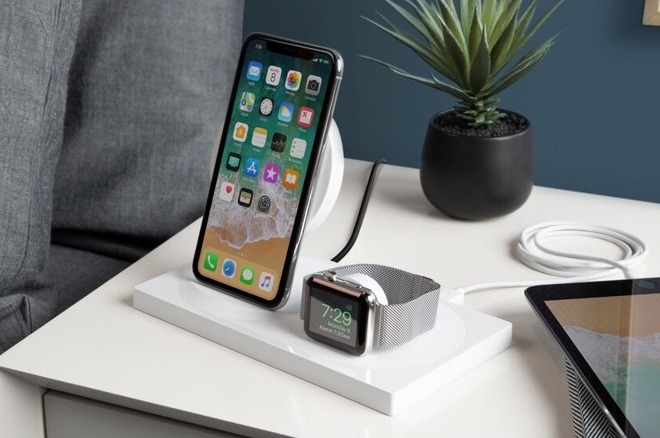 Shipping with QI and MFi certification and a 45-watt power adapter in December via Apple Stores around the world, the Boost Up Wireless Charging Dock for iPhone and Apple Watch will cost $159.99. The updated PowerHouse Charge Dock for Apple Watch and iPhone is similar to the previous model, with the Apple Watch held off to the side and a Lightning connector at the base to connect iPhones rather than using wireless charging, making it more useful for those with older iPhone models. 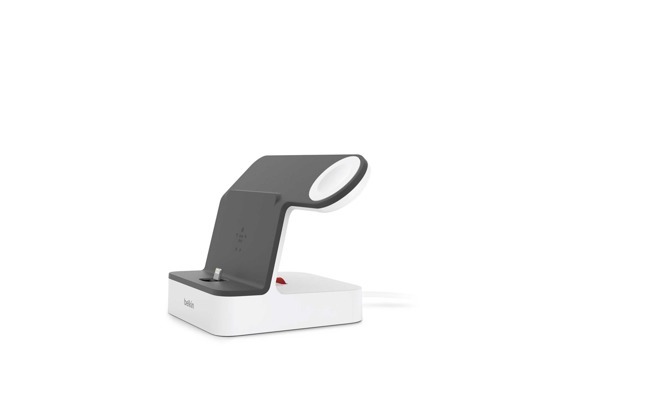 The main change in this version is that it includes a red dial behind the stand to adjust the height of the Lightning connector, in order for it to work with a variety of different models and in different cases, as well as adding support for the 2018 iPhones. Shipping in November, the updated PowerHouse Charge Dock for Apple Watch and iPhone will cost $99.99.